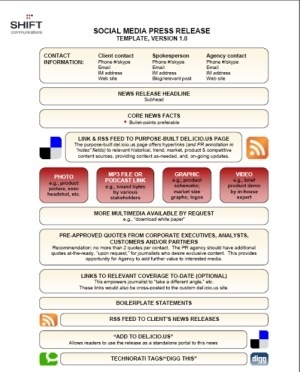 Just what is a “Social Media News Release”? According to the book., a Social Media News Release uses major electronic distribution services to embed a news release with high-resolution photos/graphics, video, and audio compnents. These can be expressed through different social media sites. When should a PR practitioner use a SMNR rather than a “regular” news release? PR practitioners should use an SMNR when they want to convey their message to the online community. The major advantage they point out is that using an SMNR allows for two way communication between the PR practitioner and the target audience.